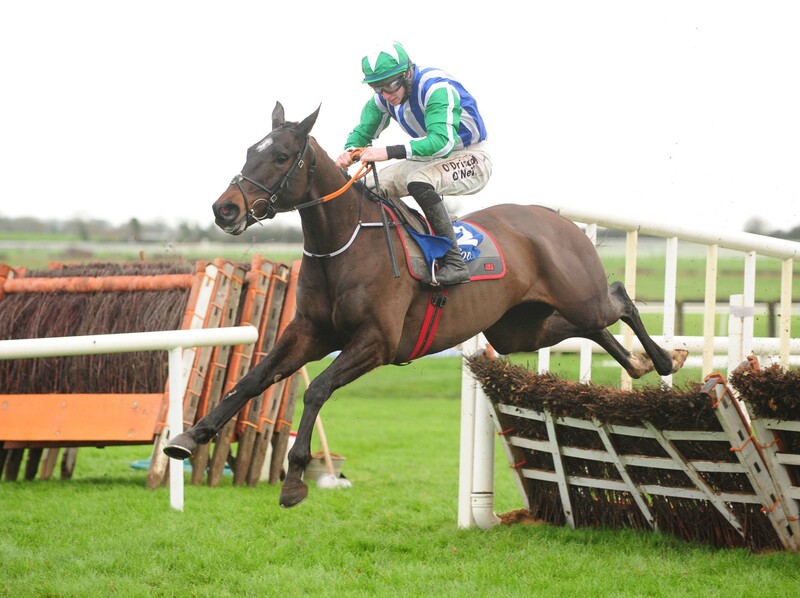 Prince D’Aubrelle will attempt to make up for lost time when he returns from another lengthy break in the Listed INH Stallion Owners EBF Novice Hurdle at Punchestown. The nine-year-old has been absent since making a successful jumps debut at Tipperary in May – his first run for 949 days after winning the third of his five bumper races. Prince D’Aubrelle had been pencilled in to return at Leopardstown last week, but the fragile gelding was taken out by trainer Willie Mullins because the ground was unsuitable. “He is a horse with a lot of ability,” said Mullins’ son and assistant Patrick. “He’s been hard to keep sound, and we took him out of Leopardstown because of the ground – but he won three bumpers, and he won his maiden hurdle very well. The Closutton stable is also represented by La Sorelita, who is favoured by the weight allowances. “She was a little disappointing in Fairyhouse, but she is getting an awful lot of weight,” said Mullins. “She is stepping out of the juvenile division and taking on her elders. She only has 10st 2lb on her back, and I think the track and the ground will suit her. Gordon Elliott’s Chosen Mate is a general 33-1 chance in ante-post markets for each of the three novice hurdles (Supreme, Ballymore and Albert Bartlett) at next month’s Cheltenham Festival and steps up in grade, having won his maiden hurdle at Fairyhouse in January. “He won a Fairyhouse maiden hurdle in good style a couple of weeks ago when he was making his debut for us,” Elliott told Betfair. “I thought he jumped well, and for an ex point-to-pointer he coped well with coming back to two miles. Elliott also runs Tintangle and feels she will not be disgraced. “Tintangle ran a respectable third to Honeysuckle last time,” he said. “But I’m not sure we saw the best of her that day, because she didn’t seem to travel as well as she did when she was third to Aramon in a Grade One at Leopardstown over Christmas. Joseph O’Brien’s Top Moon, owned by J P McManus, makes his hurdles debut in the race, having been touched off in a bumper at Naas last month – but faces a tough task in this company. The Henry de Bromhead-trained Sinoria took two runs to win her maiden hurdle, at Down Royal at Christmas, but did score easily then. Luke Comer’s Kingston Girl was a winner at Fairyhouse last month but was well held on one run since and is the likely outsider of the seven.